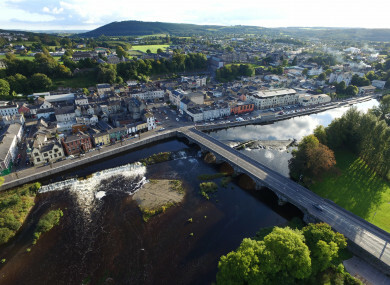 FERMOY HAS TOPPED the ranking of Ireland’s cleanest towns, according to the latest survey by business group Irish Business Against Litter (IBAL). Last year’s winner Ennis, dropped to 22 place while Waterford remained the country’s cleanest city. An Taisce assessed litter levels in 40 towns and cities on behalf of IBAL. This year, it found that just under 90% of areas were clean, with a top tier of 13 towns deemed “cleaner than European Norms”. Finishing just behind Fermoy was Athlone and Killarney, while Galway City Ballybane and Dublin North Inner City came in at the bottom of the rankings, described as “seriously littered”. As runners-up, Athlone and Killarney will each receive a number of Norway maple trees, courtesy of the Irish Tree Centre in Cork. According to the report, disadvantaged urban areas occupied the bottom five places in the rankings. Ballymun, Cork’s Northside and Mahon were littered, while Dublin City Centre was again moderately littered. The report found that Dublin’s North Inner City suffered from litter blackspots on Oriel Street, Dunne Street, Sherrard Street Lower and Railway Street. Fana Glas in Ballybane was also a litter blackspot, where “an air of neglect pervaded throughout”, with the communal areas “in very poor condition”. “Three years ago we deliberately shone a spotlight on specific city areas in the hope that the attention would spur councils and communities into action,” Conor Horgan of IBAL said. It is fair to say we have seen no noticeable improvement in any of these areas – nor have we seen much by way of substantial measures to them turn around. “At a minimum, these repeatedly littered sites, often subject to dumping, need to be targeted and cleaned up,” said Horgan. Email “Fermoy declared Ireland's cleanest town ”. Feedback on “Fermoy declared Ireland's cleanest town ”.